A Super Lynx helicopter from the Portuguese NRP Corte Real (F332) conducts landing/takeoff drills aboard the Norwegian frigate HNoMS Helge Ingstad (F313) in the North Sea during exercise Trident Juncture 18 on October 26, 2018. Bandvagn 206 Convoy in TRIDENT JUNCTURE 2018 - Canadian Armed Forces convoy (POV). Courtesy HD Video | Allied Joint Force Command Naples | 10.20.2018 -- A Canadian Armed Forces convoy comprising of Bandvagn 206 vehicles leave Camp Gasbakken for the off-road portion of the course, during Exercise Trident Juncture 18 in Gasbakken, Norway on October 20th, 2018. Video by Cpl Lisa Fenton. Bandvagn 206 (Bv 206) is a tracked articulated, all-terrain carrier developed by Hägglunds (now part of BAE Systems Global Combat Systems) for the Swedish Army. It consists of two units, with all four tracks powered. It can carry up to seventeen people (six in the front compartment, eleven in the rear), and the trailer unit can be adapted for different uses. Exercise Trident Juncture 18 in Norway includes around 50,000 personnel from 31 NATO Allies and partner countries. Trident Juncture 18 is the largest NATO military exercise in recent years and is designed to test the ability of these countries to operate together to defend populations and territories and deter potential adversaries. Exercise Trident juncture 18 started on October 25, 2018 and will continue until November 7, 2018. Soldiers from some of NATO's warmer climates have been learning how to operate in freezing conditions as part of Exercise Trident Juncture in Norway. Personnel from 31 nations are taking part in activities designed to help them acclimatise to sub-zero temperatures. NATO's biggest exercise in more than a decade, Exercise Trident Juncture, has got underway in Norway with 31 nations taking part. It is designed to test capability and interoperability between the nations, in response to a potential attack. During exercise Trident Juncture 18 in Norway, U.S. Marine Corps CH-53E Super Stallion Helicopters transport and insert German Infantry Troops and a Wiesel Tank near the objective. Trident Juncture 18 is the largest NATO military exercise in recent years including 31 countries and about 50,000 people. Unit - Marine Heavy Helicopter Squadron 366 (HMH-366). Filmed at Vaernes Air Base, Norway on November 1, 2018. Royal Marines have been practising an amphibious assault as part of Exercise Saif Sareea 3 in Oman. More than 5,000 personnel from all three of Britain’s armed services are working alongside 60,000 Omanis during the exercise. Personnel from the Royal Tank Regiment have been testing their skills in the Omani desert, as part of Exercise Saif Sareea 3. The exercise has been years in the planning and is the UK's biggest military exercise for almost 20 years. U.S. Marines with Combined Anti-Armor Team, 3rd Battalion, 3rd Marine Regiment, conduct live-fire training at Pohakuloa Training Area, Hawaii on October 27, 2018. The training event was part of Exercise Bougainville II. The United States Military Academy (USMA), also known as West Point, Army, The Academy, or simply The Point, is a four-year coeducational federal service academy located in West Point, New York in Orange County. It sits on scenic high ground overlooking the Hudson River, 50 miles (80 km) north of New York City. The Academy traces its roots to 1801, when President Thomas Jefferson directed, shortly after his inauguration, that plans be set in motion to establish the United States Military Academy at West Point. The entire central campus is a national landmark and home to scores of historic sites, buildings, and monuments. The majority of the campus's Norman-style buildings are constructed from gray and black granite. The campus is a popular tourist destination complete with a large visitor center and the oldest museum in the United States Army. Dan Wasserbly talks about Meggit's new FATS 300 multi-screen weapons trainer, which is being marketed as an upgrade or new system for military users. *A lot more forces fitness / military fitness vids in the Getting In Shape: Health & Wellness - Fitness & Sports thread. Check it out. Lotta good stuff. A new group of 267 riflemen have been celebrating with family and friends after they successfully passed out from Gurkha Company in Catterick after nine months of intense training. LT GEN MULLINS, COMMANDING GENERAL, GIVES INTRODUCTION. COVERS BACKGROUND AND INVOLVEMENT IN WORLD EVENTS AND DEVELOPMENT OF NUCLEAR WEAPONS AND MISSILES FROM PRE-WAR DAYS OF WW II TO CURRENT DETERRENT FORCE. SHOWS VARIOUS BASES AND TYPES OF WEAPONS UNDER OPERATIONAL CONTROL OF 15TH AIR FORCE." Modern rockets originated when Goddard attached a supersonic (de Laval) nozzle to the combustion chamber of a liquid-fueled rocket engine. These nozzles turn the hot gas from the combustion chamber into a cooler, hypersonic, highly directed jet of gas, more than doubling the thrust and raising the engine efficiency from 2% to 64%. On 16 March 1926 Robert Goddard launched the world's first liquid-fueled rocket in Auburn, Massachusetts. During the 1920s, a number of rocket research organizations appeared worldwide. In 1927 the German car manufacturer Opel began to research rocket vehicles together with Mark Valier and the solid-fuel rocket builder Friedrich Wilhelm Sander. In 1928, Fritz von Opel drove a rocket car, the Opel-RAK.1 on the Opel raceway in Rüsselsheim, Germany. In 1928 the Lippisch Ente flew: rocket power launched the manned glider, although it was destroyed on its second flight. In 1929 von Opel started at the Frankfurt-Rebstock airport with the Opel-Sander RAK 1-airplane, which was damaged beyond repair during a hard landing after its first flight. In the mid-1920s, German scientists had begun experimenting with rockets that used liquid propellants capable of reaching relatively high altitudes and distances. In 1927 and also in Germany, a team of amateur rocket engineers had formed the Verein für Raumschiffahrt (Society for Space Travel, or VfR), and in 1931 launched a liquid propellant rocket (using oxygen and gasoline). Coffee or Die Magazine’s Marty Skovlund Jr. was given exclusive access to embed with a Special Forces team in the mountains of Afghanistan, and accompany them on a combat mission into ISIS-held territory. These Green Beret’s fit the common tropes associated with Special Forces: beards, long-ish hair, and relaxed attitudes along with a few sleeve tattoos sprinkled in for good measure. Although they sport ball caps and Glocks in lieu of cowboy hats and six-shooters, they are frontiersman all the same — charged with taming the Mohmand Valley. The team operates out of COP Blackfish, an isolated outpost in the Mohmand Valley and only a short walk from where the controversial “MOAB” was dropped last year. Want to keep up with all the latest stories in Coffee, or Die Magazine? Make sure to ‘like’ us on www.facebook.com/coffeeordiemag and follow us on Instagram & Twitter @coffeeoridemag. The soldiers are using the GPMG 7.62mm machine gun as a fire support group from long range. Sometimes called "plunging fire" this method was originally used during WW1 as a kind of machine gun artillery in some regards. Apache and Wildcat helicopters have taken to the skies to participate in an exercise to prepare personnel for potential threats or deployments. Exercise Talon Python is a chance for 3 Regiment Army Air Corps to demonstrate their ability to operate in different environments and the first time the two helicopter crews have worked together for an extended period. THE PENTAGON — The Navy, Marine Corps and Air Force all hit their Fiscal Year 2018 recruiting targets, but the Army missed its goal by more than a regiment’s worth of troops – 6,528 active duty soldiers– according to a recently released Department of Defense report. 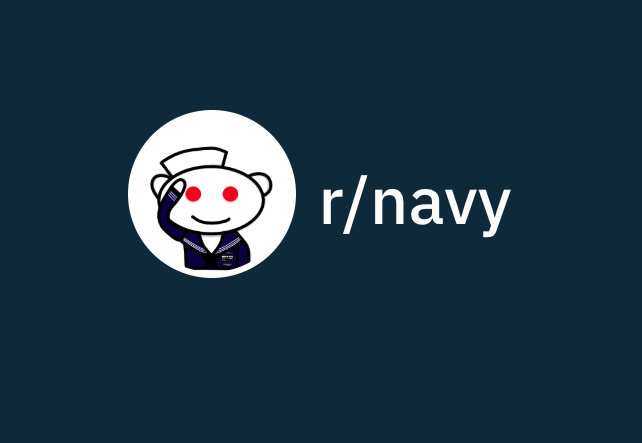 With a shortfall looming, at least one Army recruiter took to the Navy-themed Reddit page, r/navy, in an apparent attempt to woo Navy personnel. While not unheard of for active duty personnel to switch services, it’s not clear how common recruiters are pitching their branch on social media sites dedicated to other services. Still, the post and ensuing conversations were positive, and several commenters sounded interested in learning more after reading the following pitch. An Army recruiter recently pitched serving in the U.S. Army on a Reddit page geared toward Navy discussions. Recruiters do bring in transfers from other branches. However, Army officials suspect this instance of a recruiter prospecting on the Navy Reddit page was likely an isolated incident, Kelli Bland, the director of public affairs for the Army’s Recruiting Command, told USNI News. She hadn’t heard of large numbers recruiters prospecting for recruits on social media pages geared towards other service branches. The Army has about 9,500 active duty and civilian recruiters. “Our recruiting regulations and the curriculum in our Recruiting and Retention College are clear that if someone is actively prospecting with another service, then our recruiters are not to interfere with the process,” Bland said in a follow-up email to USNI News. Meanwhile, Navy personnel officials sounded nonplussed when informed of the Reddit page discussion involving an Army recruiter trying lure personnel away from the Navy. “The Army didn’t make their recruiting goal for the year. We did,” Capt. Amy Derrick, a spokeswoman for the Chief of Naval Personnel, told USNI News. Navy goal: 39,000 recruits. Attained 39,018 recruits (100.05 percent of goal). Marine Corps goal: 31,556 recruits. Attained 31,567 recruits (100.03 percent of goal). Army goal: 76,500 recruits. Attained 69,972 recruits (91.47 percent of goal). Air Force goal: 29,450 recruits. Attained 30,343 recruits (103.03 percent of goal). The DoD report described retention as being “strong” for all services. The Navy finished Fiscal Year 2018 with 329,851 active duty personnel, according to Department of Defense. The FY 2018 request was for 327,900 active duty personnel. In FY 2019, the Navy is authorized to have 335,400 active duty personnel, according to the FY 2019 National Defense Authorization Act. The Army finished FY 2018 with 476,179 soldiers – essentially flat from the previous year, with a slight a drop of 66 soldiers from the FY 2017 end strength of 476,245 troops, according to the DoD statistics. The FY 2019 NDAA allows the Army to grow to 487,500 active duty troops, or by 11,321 during the current fiscal year. “I am extremely proud of our Navy recruiters. Without their dedication and hard work, we would not have achieved our FY 18 accession goals. We have modernized our recruiting approach and are leveraging digital and mobile technology to reach every potential recruit. As we grow the Navy the Nation Needs, we are looking for talented men and women to be our next generation of Sailors, which means recruiting a more inclusive, diverse Navy that provides a range of opportunities to those who want to serve,” Vice Adm. Robert Burke, chief of Naval Personnel, said in an email to USNI News. However, only two of six military reserve components met their FY 2018 goals, according to the DoD report. The following list details each reserve component goal and their success rate for the fiscal year. Army National goal: 44,342 personnel. Attained 34,629 personnel (78.10 percent of goal). Army Reserve goal: 15,600 personnel. Attained 11,327 personnel (72.61 percent of goal). Navy Reserve goal: 7,518 personnel. Attained 7,097 personnel (94.40 percent of goal). Marine Corps Reserve goal: 8,990 personnel. Attained 8,990 personnel (100.00 percent of goal). Air National Guard goal: 10,529 personnel. Attained 9,659 personnel (91.74 percent of goal). Air Force Reserve goal: 5,282 personnel. Attained 7,193 personnel 136.18 percent of goal). Military leaders have for some time described how they currently face a challenging recruiting environment caused in part by a good economy and in part by an ever-shrinking pool of young people with immediate relatives who have served. For the Navy, the competition for talent with other branches and private sector employers has caused a rethinking of how to attract recruits, Burke said during the recent Naval Submarine League annual symposium. The Navy has set an aggressive recruiting target, with a goal of increasing the force size to 344,800 active duty sailors within the next four years, according to its FY 2019 budget request. Currently, roughly 84 percent of the Navy comes from a family where at least one parent was an active duty service member, Burke said. Making recruiting tougher, he added, is only about 20 percent of young people today meet the military’s minimum standards. Of that already small pool of prospects all services are drawing from, Burke said only about 1 percent want to serve. Recruiters still attend large events such as job fairs and school campuses, along with working from recruiting stations. 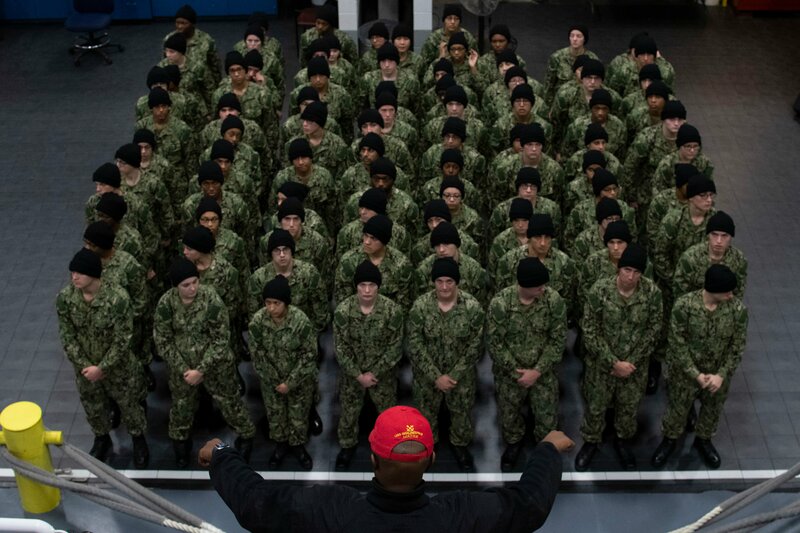 But to reach a more diverse pool of prospects, Burke said his recruiters increasingly start conversations about joining the Navy in online chatrooms forums. Just maybe not the Reddit pages dedicated to other services. Being online is a vital part of a recruiter’s toolbox, Burke said. The Navy has roughly 3,000 recruiters. Social media offers recruiters an efficient way to meet prospects. Without social media, Burke said recruiters could never hope to reach the same number of people as they do now. The role of special observer is unique. Their job is to march up to 100km ahead of the frontline - deep into enemy territory and in the dead of night construct observation posts in buildings, bushes or underground. Then they must watch and wait, silently logging the enemy’s every move and feeding it back to command. The information they send will be crucial. Ground-based air defence specialists 16 Regiment Royal Artillery have been training to ensure that they can be deployed anywhere needed with their heavy weaponry. The techniques used - first deployed during the Cold War - mean being concealed electronically and making sure radar and communications remain undetected by the enemy. Shot by a combat cameraman embedded with U.S. forces in Vietnam, this 16mm silent film shows troops on jungle patrol at :32. At :40 an American G.I. smokes from a cigarette while waiting to advance. At 2:30 a slate is shown but it is impossible to read. At 2:56 troops advance through a clearing. At 3:40 a prisoner marches with the troops. At 4:18 the prisoner is roughed up a bit as an interpreter, probably AVRN, speaks to him. At 5:00 the prisoners are held at gunpoint with their arms tied behind their backs. At 5:19, troops disembark from a ship and board a riverine patrol vessel. At 6;14 shots are fired into the bank of a river. At 7:12 the troops are seen now advancing through the foliage towards a row of trees. At 7:55 a medical helicopter lands in a clearing. (This part of the film the camera lost the film so it is very shaky). At 9:40 troops advance over a rough bridge made of logs. At 10:00 the mission is over and the troops are back on the river. M42 Duster - closeups of maintenance and M42s on the move, June 1967. Color, archival video. The following is the Nov. 21, 2018 Congressional Research Service report, U.S. Strategic Nuclear Forces: Background, Developments, and Issues. At the present time, the U.S. land-based ballistic missile force (ICBMs) consists of 400 land-based Minuteman III ICBMs, each deployed with one warhead, spread among a total of 450 operational launchers. This force is consistent with the New START Treaty. The Air Force is also modernizing the Minuteman missiles, replacing and upgrading their rocket motors, guidance systems, and other components, so that they can remain in the force through 2030. It plans to replace the missiles with a new Ground-based Strategic Deterrent around 2029. The U.S. ballistic missile submarine fleet currently consists of 14 Trident submarines. Each has been modified to carry 20 Trident II (D-5) missiles—a reduction from 24 missiles per submarine—to meet the launcher limits in the New START Treaty. The Navy converted 4 of the original 18 Trident submarines to carry non-nuclear cruise missiles. Nine of the submarines are deployed in the Pacific Ocean and five are in the Atlantic. The Navy also has undertaken efforts to extend the life of the missiles and warheads so that they and the submarines can remain in the fleet past 2020. It is designing a new Columbia class submarine that will replace the existing fleet beginning in 2031. The U.S. fleet of heavy bombers includes 20 B-2 bombers and 40 nuclear-capable B-52 bombers. The B-1 bomber is no longer equipped for nuclear missions. This fleet of 60 nuclear-capable aircraft is consistent with the U.S. obligations under New START. The Air Force has also begun to retire the nuclear-armed cruise missiles carried by B-52 bombers, leaving only about half the B-52 fleet equipped to carry nuclear weapons. The Air Force plans to procure both a new long-range bomber, known as the B-21, and a new long-range standoff (LRSO) cruise missile during the 2020s. DOE is also modifying and extending the life of the B61 bomb carried on B-2 bombers and fighter aircraft and the W80 warhead for cruise missiles. The Obama Administration completed a review of the size and structure of the U.S. nuclear force, and a review of U.S. nuclear employment policy, in June 2013. This review advised the force structure that the United States will deploy under the New START Treaty. The Trump Administration completed its review of U.S. nuclear forces in February 2018, and reaffirmed the basic contours of the current U.S. force structure and the ongoing modernization programs. The Trump Administration has also called for the development of a new low-yield warhead for deployment on Trident II (D-5) missiles. Congress will review the Administration’s plans for U.S. strategic nuclear forces during the annual authorization and appropriations process, and as it assesses the costs of these plans in the current fiscal environment. This report will be updated as needed. Deprived of any military capability after being defeated by the Allies in World War II and signing a surrender agreement presented by General Douglas MacArthur in 1945, Japan had only the U.S. occupation forces and a minor domestic police force on which to rely for security. Rising Cold War tensions in Europe and Asia, coupled with leftist-inspired strikes and demonstrations in Japan, prompted some conservative leaders to question the unilateral renunciation of all military capabilities. These sentiments were intensified in 1950 as occupation troops began to be moved to the Korean War (1950–53) theater. This left Japan virtually defenseless, vulnerable, and very much aware of the need to enter into a mutual defense relationship with the United States to guarantee the nation's external security. Encouraged by the American occupation authorities, the Japanese government in July 1950 authorized the establishment of a National Police Reserve (警察予備隊 Keisatsu-yobitai), consisting of 75,000 men equipped with light infantry weapons. Under the terms of the Treaty of Mutual Cooperation and Security between the United States and Japan, United States forces stationed in Japan were to deal with external aggression against Japan while Japanese ground and maritime forces would deal with internal threats and natural disasters. Accordingly, in mid-1952, the National Police Reserve was expanded to 110,000 men and named the National Safety Forces. The Coastal Safety Force, which had been organized in 1950 as a waterborne counterpart to the National Police Reserve, was transferred with it to the National Safety Agency to constitute an embryonic navy. The trauma of World War II produced strong pacifist sentiments among the nation. In addition, under Article 9 of the United States–written 1947 constitution, Japan forever renounces war as an instrument for settling international disputes and declares that Japan will never again maintain "land, sea, or air forces or other war potential." Later cabinets interpreted these provisions as not denying the nation the inherent right to self-defense and, with the encouragement of the United States, developed the JSDF step by step. Some people wonder what I did in Afghanistan, hopefully this small slideshow will be able to give you somewhat of an idea. A group of former radar operators have returned to the nuclear bunker where at the height of the Cold War, they helped defend the UK from potential attack. At the time, Britain's frontline defences involved a radar programme called Rotor, with 70 secret stations dotted around the coastline. U.S. Marines conduct military operations in urban terrain (MOUT) training as part of Integrated Training Exercise 1-19 at Twentynine Palms, CA on November 6-13, 2018. The large-scale exercise allows Marine Corps infantry units to bolster their combat capabilities in desert environments in preparation for potential global conflicts. Unit - Company A, 1st Battalion, 8th Marine Regiment, 2nd Marine Division. For the last three decades, the US Army has issued the M16 rifle and the M9 pistol to its infantry personnel. Both weapons are standard for the American soldier and have worked well in many overseas operations. With the possibility of military conflict with China and or Russia, the Army has made several preparations to replace its aging and outdated weapons. In 4Q 2017, we documented how the Army is preparing for decades of hybrid wars across multiple domains - space, cyberspace, air, land, and, maritime. We examined the Army’s latest Training and Doctrine Command report, which highlights how the next round of hybrid wars could begin somewhere around 2025 and last through 2040. Then last month, the US Army's chief of staff made it public that the service is expecting to procure the next-generation squad weapon would fire faster, farther than M16 and M249 infantry rifles and penetrate the most advanced body armor technologies in the world. As the series production of the next-generation assault rifle is imminent, the Army has also been replacing its outdated Beretta M9 pistol. So what was wrong with the M9 and why has it been replaced? Pistol technology had rapidly changed since the 1980s when the M9 was commissioned. Double-action strikers, uncommon three decades ago, have become standard, and for an excellent reason, said the American Rifleman. The striker system is sealed with no exposed hammer slot that does not allow dirt and debris into the gun. The M9 is manufactured from an aluminum frame. Aluminum or steel frames were standard in the 20th century, but composite materials have replaced most base metals. Another negative of the M9 is its lack of a Picatinny rail to mount addition adds on, including lights, lasers, and or sights. With all this in mind, 2018 has served as a transitional year for the Army in replacing its old weapons. Earlier this year, the Army’s 101st Airborne Division was the first to receive the services’ new M17 and M18 pistol, engineered to give infantry an edge in the ability to fight in caves, tunnels, crawl spaces, houses, and other close quarter combat scenarios. “You can close with the enemy in close quarter combat and engage the enemy with one hand. It is tough to do this with the M9,” Lt. Col. Martin O’Donnell, spokesman for the 101st Airborne, told reporters earlier this year. The new pistol is also designed with an ergonomic configuration that allows soldiers to enable rapid hand switching as needed in combat. The M17 is said by its designer to bring much tighter dispersion, improved versatility, and next-generation accuracy. “With this weapon, you can change quickly from right hand to left hand. If you are shooting something that is not comfortable on your hand and can't get a comfortable grip, it is not as accurate,” Sgt. 1st Class Andrew Flynn, 101st Division Master Gunner, said earlier this year. The Army is now acquiring thousands of next-generation assault rifles and pistols in the pursuit of modernizing its forces before the next conflict slated for the mid-2020s. Australian spies on top secret missions may soon gain a license to kill enemies who pose a risk to their undercover missions while operating abroad, reports ABC News. Australian Secret Intelligence Service (ASIS) officers are currently permitted to use their weapons in self-defense, or to protect anyone working with the spy agency, however on Thursday the Morrison government is set to introduce new laws to Parliament which will allow spies to use "reasonable force" during overseas missions. The Aussie government has justified the new policy by pointing to the broader scope of "more dangerous missions in new places and circumstances unforseen 14 years ago," when the Intelligence Services Act provisions were last addressed. "As the world becomes more complex, the overseas operating environment for ASIS also becomes more complex," said Payne in a statement, adding "The changes will mean officers are able to protect a broader range of people and use reasonable force if someone poses a risk to an operation." "Like the existing ability to use weapons for self-defence, these amendments will be an exception to the standing prohibitions against the use of violence or use of weapons by ASIS." According to the foreign minister, ASIS's watchdog would maintain an important oversight role over the use of weapons and force by the intelligence service. Military Laser Systems | Are they ready? Are modern laser systems ready for full military application? It looks like we are on the brink of warfare that could include fully integrated laser weapons for the future. Meet Sean Evangelista, a first responder of a different kind. SHOULD I GO OFFICER OR ENLISTED? The second most question I get is... Should I go officer or enlisted? Figured it was a good idea to address my personal thoughts on the matter. Don't forget to check out www.usmcprep.com whether you are going enlisted or officer and get your training on. A look back in time...………..
Mai 1945, deutsche Truppe begegnen in Tschechoslowakei (Böhmen) nach der Kapitulation US Truppen Richtung Westen. Es ist das Ende des Zweiten Weltkrieges. Einmalige Farbaufnahmen von Panzern, Halbketten, LKWs, Kübelwagen, Uniformen etc. Attack! The Battle of New Britain is a documentary/propaganda film produced by the U.S. War Department in 1944, depicting events in 1943.. It details, as its name implies, the New Britain campaign, which was part of the New Guinea and Solomon Islands Campaigns during World War II. The film follows a rather standard format: it is a chronological narrative of the campaign from the arrival of the soldiers in New Guinea to their capture of most of the island. Opening with travelers book pictures of the area, reminding the audience what the average soldier image of what the South Seas would be like, and it then details the natural hazards of fighting, or even being in the jungle, including the insects, diseases and heat. The marines and soldiers set up a little tent city, with the significant help of the local natives or "fuzzy wuzzies". After the base has been established and enough men are ready, General Douglas MacArthur arrives in person to discuss the upcoming campaign with the unit's CO.
With the aid of maps and non-combat footage, the audience learns about the plans for the attack, the geography of the island, and the variety of armored vehicles that will be used in the upcoming battle, including the "alligator" and "buffalo" amphibious assault vehicles. D–day is on Christmas, and while the sailors and marines assemble in the rear, the airmen spend Christmas Eve strafing the island, to make way for their comrades' assault. The campaign is then followed through chronologically, focusing, at the end, on the many wounded and killed who have sacrificed so much. The New Britain Campaign was a World War II campaign by the Allies, between December 1943 and the end of the war in August 1945, to contain Japanese forces concentrated in Rabaul, the capital of New Britain, the major Japanese base for the New Guinea and Solomons campaigns. New Britain is a crescent-shaped island north east of the mainland of New Guinea, approximately 600 kilometres (370 mi) along its south-eastern coast line, and from 30 to 110 km (20–70 mi) wide, not including a small central peninsula. The island has an area of 37,800 square kilometers (14,600 mile²). There were more than 100,000 Japanese military and civilian personnel on New Britain and a smaller nearby island, New Ireland. These were centred on the headquarters of the Eighth Area Army: the 17th Division (11,429 personnel at the end of the war); the 38th Division (13,108); the 39th Brigade (5,073); the 65th Brigade (2,729); the 14th Regiment (2,444); the 34th Regiment (1,879) and the 35th Regiment (1,967). By the end of the war, these Japanese forces were restricted to Rabaul and the surrounding Gazelle Peninsula. United States, Australian and New Guinean forces, assisted by local civilians, were always a division-level command or smaller: the U.S. "Director" Task Force (effectively a regimental combat team) and the 1st Marine Division handed over to the 40th Infantry Division, which in turn handed over to the Australian 5th Division.